The wait is over – idle no more. It’s time to get moving on the McKenzie Interchange Project. 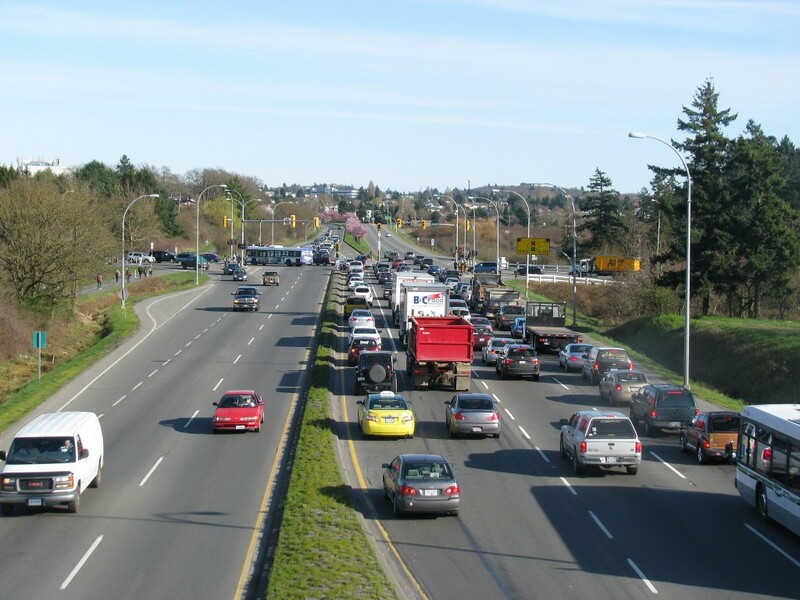 The planning stage starts with you, and a public consultation process focused on collecting your ideas for a new interchange that will relieve what is known as the province’s most infamous bottleneck outside of the Lower Mainland. We launched a new website to communicate details of the project as they unfold while receiving your feedback. The first public open house is set for November 17 between 3-7 p.m. at St Joseph Worker Parish Hall. On the day of the open house, we’ll be posting preliminary concepts to the website for your review. We’re consulting with the public because we want to ensure the final interchange meets your needs. Simple as that. We’re also meeting with First Nations, local governments and stakeholders throughout design and construction. We’ve completed preliminary technical work already, so we have data on things like the depth, type and consistency of the soils and rock in the area. We’ve also analysed traffic counts and are tracking noise levels to help reduce its impact on nearby homes and schools. Our engineers are now reviewing the info to help determine what the configuration of the highway should look like. Meanwhile, we’re looking into potentially sensitive ecosystems and species at risk to ensure the project has as little impact to the area as possible. We’re also doing archeological fieldwork with First Nations to identify any possible archeological sites. Passenger and commercial vehicles will get to where they’re going faster. Public transit will move people more efficiently. The corridor will be safer. Less idling will lead to less fuel consumption and emissions. People who bike and walk in the area will do so more safely. The project needs workers, which means more jobs. Please tell us: what does your McKenzie Interchange look like? What are your priorities? Concerns? It all starts here. 12 Responses to What Does YOUR McKenzie Interchange Look Like? October 18 was certainly bit optimistic. With only approximately 10 people (I count them every day) working on the project on any day it will like be late 2020 before the project is anywhere near completion . Under resourced, badly designed and poorly executed. I would like to know if the problem lies with the prime contractor for not issuing sufficiently resourced subcontracts or the ministry for underfunding the project. The recent traffic restricting changes to Burnside Road West intersection are creating traffic snarls on Burnside road west, Marigold and Mackenzie that are horrendous . With 2 lights on Admirals rd crossing the highway and having to contend with the cloverleaf of those leaving the highway to continue up Mackenzie, traffic on Admirals will be worse. Thanks for those of us that live on or off Admirals Rd. Thanks for connecting with us here. While there may be some project work carried out at night, we expect that a large part of construction on the new interchange will happen during daylight hours. That being said, our project goal is to maintain existing travel times during peak periods during construction, as well as minimize delays and maximize predictability for commuters. Keeping traffic moving through the construction site will be a high priority along with minimizing additional short-cutting of traffic through neighbourhoods, and these will be addressed in both the design considerations and construction staging. Possible strategies include: building ramps first to use as detours, keeping the construction schedule as short as possible, using visual screens to keep construction activities separate from traffic. We will ensure that any planned delays or closures are well advertised and communicated so that commuters can plan around those times. I hope that the planners are factoring in what the traffic will look like at completion of the project because the density of it now is bound to have increased by then. Also, we are in an earthquake zone and if steel is needed (and I am sure it will be) get it right the first time. Further more in final analysis, if the chosen design has any traffic lights included, than we are not fixing anything. The object here is to allow traffic to flow. Food for thought!!! Thanks for this input Serge, we have sent it forward to the project website for consideration. I’ve been through this intersection, once. What a cluster mess to say the least, makes things on the lower mainland seem tame but I digress. Can’t wait to see what the final design is though as I have no clue as to interchange design. As well as an overpass for the TCH over Admirals/McKenzie there should be free flow for southbound highway 1 toward McKenzie Avenue and the Pat Bay highway with a direct flyover ramp. There also needs to be grade separation at Burnside and McKenzie and a grade separated trail for the Galloping Goose trail through the interchange. I don’t know what the interchange should look like, but please don’t make it like the one at the airport. It’s very confusing.